The popular technical MECHANEX seminar timetable has been announced for the opening show of 2016, which takes place at Alexandra Palace in North London on April 19th and 20th. The latest addition to the line-up, joining the likes of industry experts James Dillon and Andy Savva, is wheel alignment specialist Pro-Align. Chris Ivory from Pro-Align will deliver a talk entitled ‘Discover the six stages to successful four wheel alignment’, in which he will share the key factors in helping you make your four wheel alignment service profitable. 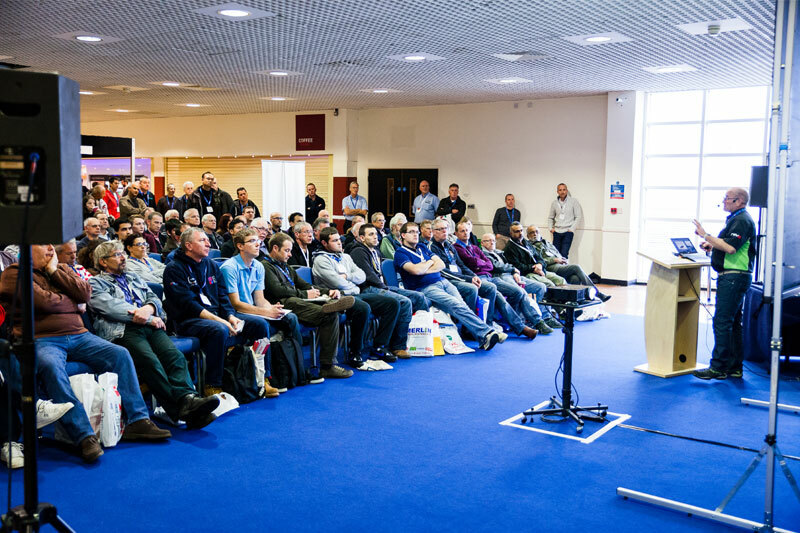 Delivered by experts in their field, the seminars will be packed with subjects and servicing tips and, if 2015 was anything to go by, it’ll be standing room only. Good quality technical information is the main staple of any technician’s diet. Advancements in vehicle systems, components and technology means that to be able to service and repair the latest generation of passenger cars, training is simply a must! Visitors will also be able to hear about an update on changes to MOT training, from RMI-IGA, and Dayco will talk about the challenges workshops encounter when working on some of the most popular vehicle timing and auxiliary belt systems. Delphi will return in 2016 to discuss Digital Service Records and completing the line-up is Morris Lubricants. ‘Ask Ade Live’ is sure to prove popular, as Morris’ Automotive Product Manager steps out from the pages of PMM to discuss the role of lubricants in after-treatment devices and emerging AdBlue technology in PCV’s. Adrian Hill of ‘Ask Ade’ discusses the role of lubricants in after-treatment devices and emerging AdBlue technology in PCV’s. The key factors in helping you make your four wheel alignment service more profitable. Diagnostic techniques, tools and processes required to efficiently deliver a ‘first time fix’. The design and function of the latest power drive systems and the challenges workshops encounter when working on some of the most popular vehicle timing and auxiliary belt systems. Why VM’s are moving to Digital Service Records and how to register with a VM to record a service on a vehicle. An update on changes to MOT training for new testers and the replacement of “refresher training” with a CPD model for existing MOT testers. Key tips for improving productivity and profitability in your business. The show is completely free to attend and tickets can be booked online, or by calling 0844 888 8339. For more information follow @MECHANEXShow on Twitter, or visit the MECHANEX website.